Free primary education in Kenya opened a door for many pupils to access education. And last year’s announcement by the Kenyan government that it would launch a “one laptop per child” programme in lower primary schools, offered the country a new avenue in eLearning. This is necessary because some of the children, especially in rural and slum areas do not have access to suitable educational materials, and their parents cannot afford the text books required. This is why eLearning proposes an exciting way of improving the quality of the education via an interactive and engaging curriculum. And also reduces the costs overall, by providing gadgets that could host thousands of eBooks. Nivi Mukherjee founded eLimu (derived from Swahili term for education, elimu), which is a digital learning programme for primary school pupils. The programme gives students content-ready tablets and offers interactive learning experience such as animation and video as part the curriculum. With the number of children swelling in primary schools, Nivi says that sometimes a lot of schooling is not the same as a lot of learning. Meanwhile, the government found itself in a hard place as the courts nullified the pending tender to Indian company Olive Telecommunication worth Kshs 24.6 billion (US$280 million) to provide laptops for the project. This means the whole initiative will go back to the drawing board and the implementation timeline will remain unknown. Despite this, stakeholders do not just have to sit and wait. With the right strategy, precautions can be taken to ensure that this laptops project is still implemented effectively. 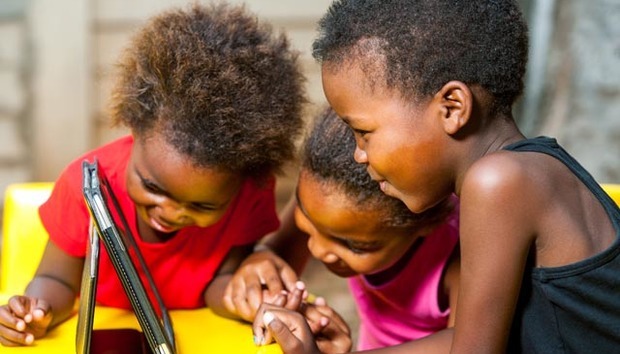 Since the announcement of the one laptop per child programme by the Kenyan government, there have been discussions and arguments, to and for the programme. The main problem was no one knew how the programme was to be implemented, what the technology would look like or how it would be used. “People started asking questions such as [what about] electricity, [or] what the laptops would look like. Laptop companies and hardware companies from around the world started flocking to Kenya saying there is a piece of the pie here. Some companies started donating and started pilots here,” Nivi said during the first digital publishing conference in Kenya, Footnote Summit. “As we think about content you cannot have it without a device. Without infrastructure, without electricity and connectivity there is no point in having those devices,” Nivi said. The type of device is a concern. Wesley Lynch, founder of Snapplify, a digital eBook enabler, said that as much as the device is not the biggest worry, the physical qualities of the gadgets also needs to be considered. “If the glass on the device is easily breakable, then if put in a student’s backpack, it might not be so safe,” Lynch added. Infrastructure of the benefitting schools is also a pending question. Where would the devices be stored in schools which hardly have classrooms? How would they be powered in areas not connected to the grid? During the first pilot, eLimu installed solar panels for electricity to power devices and handed the pre-loaded tablets to students in one of Nairobi’s informal settlements. From that pilot, eLimu noted that the students figured out how to use the tablets but the group that was being left behind, was the teachers. John Temba, the Head of ICT in the Ministry of Education in Kenya, concurred that education is a big issue especially for the teachers, as the majority do not have ICT skills. “The teachers have fear of this new technology,” Temba said. He added that of the 300,000 teachers across Kenya, only approximately 50,000 have computer skills. So how does the government train the other 250,000? There is no way round this. The teacher’s role is guidance and without proper knowledge, the learning process will be reversed with students educating teachers on how to use technology. Nivi added that the fear that teachers have is superficial. He continued that teachers need to be encouraged to explore eLearning just like they have embraced how to send emails or mobile money transfer services. John Temba, from the ministry of education, said that the government will have to invite companies to competitively bid to provide eContent in the planned digital learning across the country. This as yet undecided process will usher publishers into a new way of providing content. In Kenya, the KICD (Kenya Institute of Curriculum Development) has the responsibility to sieve through books that will be used in formal education in public classrooms across the country. “The digital content needs to be rich. It can’t just be a text book. It’s got to have digital media: video, audio,” Nivi said. Such added features will justify the country going into eLearning. Secondly, the material has to be localized and contextualized. The product needs to fit the cultural and environmental relevance of where the students are. It also needs to generate useful data such as which topics students take a lot of time on and which topics most students fail in. Currently the KICD does not have a separate way of approving digital content for public schools. With dynamic content, approvals of content would need to be done more than once a year, as is currently the practice. Nivi has called on the government to approve digital publishers who can then put up content according to a pre-decided guidelines just like radio and television broadcasters. The publishers who are supposed to provide the content do not always have the capacity to digitize and convert all information from their physical books into a more interactive format. This means aggregators would then need to work closely with the publishers to take care of the technology behind converting the books into eLearning materials. Aggregators are companies who have the technology, knowledge and experience to turn material into eBooks. One example of a Kenyan aggregator is eKitabu which has been digitizing content for various local and international companies over the years. During the Footnote Summit, David Waweru, the managing director of Kenya book company, WordAlive Publishers, said that the trick is now to share the profits between aggregators, publishers and authors in this new model of publishing. Aggregators also need to know that publishing an eBook is not just putting the hard copy in PDF or ePub format and making it available. The whole concept of eLearning, means that there need to be opportunities for integrating music, video and animation that will attract young minds. The cancellation of the tender to provide free laptops to children in lower primary schools may seem to be a huge setback for a government pet project. But with the conversations that have taken place over the past few months on the implementation of the project, the setback provides all the stakeholders with a chance to properly re-look at the project and find ways to make it truly work seamlessly.